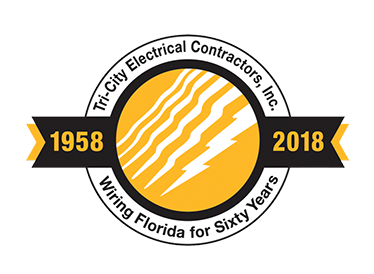 Tri-City was p resented with six Eagle Awards from the Central Florida Chapter of ABC at the 2015 Excellence in Construction Awards banquet. Award winning projects were: Dr. Phillips Center for the Performing Arts (General Contractor Balfour Beatty, Project Manager Don Owen, General Superintendent Ron Dail), Florida Hospital Celebration 5th Floor Build Out (General Contractor Brasfield & Gorrie, Project Manager David Sweat, General Superintendent Ted Stanton), The Plaza on University (General Contractor Winter Park Construction, Project Manager Dave Sheets, Superintendent Jeremy Williamson), The BOATHOUSE at Downtown Disney (General Contractor Whiting-Turner, Project Manager Bob Winterhalter, Superintendent Tim Delong), Walt Disney World Resort Textile Services Laundry Facility (General Contractor Gilbane Company, Project Manager Orlando Suarez, General Superintendent Ray Webb) and Escape from Gringotts Adventure (General Contractor PCL Construction, Project Manager Kevin Hale, Superintendent Tim Delong). 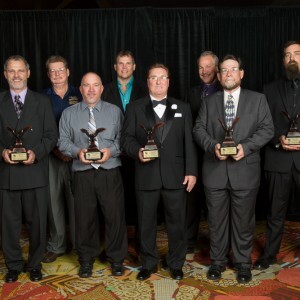 Congratulations and thank you to our outstanding craftspersons who represent the very best in the industry!